"He stopped chewing and scratching his hair out. His coat is almost back to normal." My dog did not have mange, but a very bad reaction to flea bites. I used this product and it relieved the itching. He stopped chewing and scratching his hair out. His coat is almost back to normal. The only problems I had w/ this product were having to keep sheets over my furniture, because it is oil based and the sulfur smell. Easy to use and seemed to work. "Just received it last week." Just received it last week. Haven't had enough time to tell how well it works. Very good product. Working good. Thanks. Will buy from you guys in the future. This medicine is amazing. Starts working right away. Cleared up her mange in no time. Eh!!! I bought Hot Spot. Worked much better. "Seems to be helping regain hair growth"
A pure vegetable, cod liver oil, and lanolin base. Provides soothing relief for skin irritations, fungi, falling hair, itching eczema, hot spots, moist feet and ears, ear mites, pus pimples, and severe sarcoptic mange. Use it on stubborn cases where others have failed and see for yourself. Guaranteed to promote healing and hair growth to severe sarcoptic mange, bare spots, and moist fungi. Shake well before using. Do not use on animals less than 12 weeks of age. 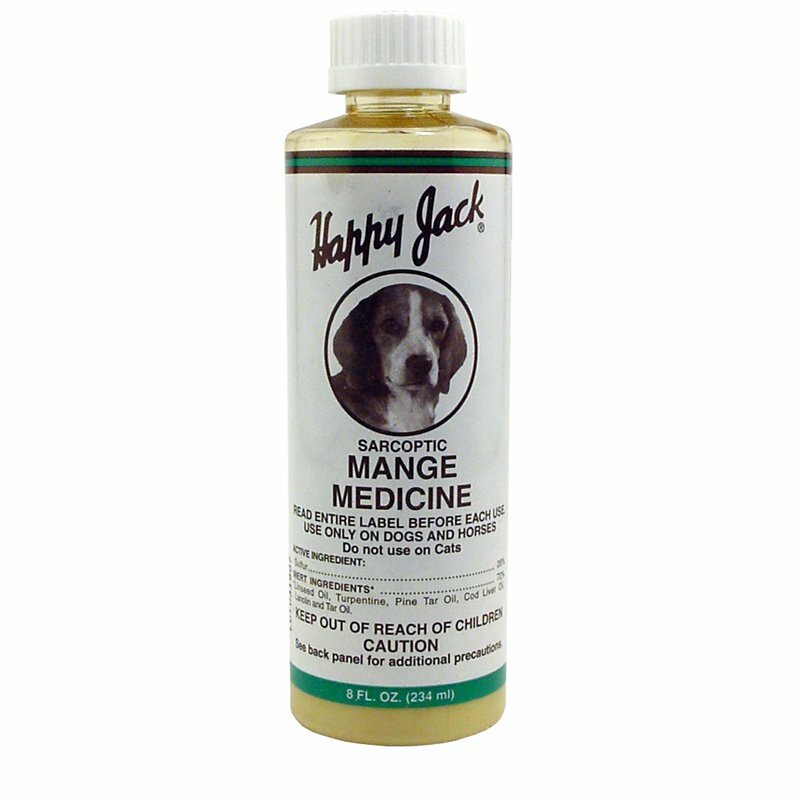 Consult a veterinarian before using this product on debilitated, aged, pregnant, or nursing animals. Sensitivities may occur after using ANY pesticide product for pets. If signs of sensitivity occur, wash your pet with mild soap and rinse with large amounts of water. If signs continue, consult a veterinarian immediately. 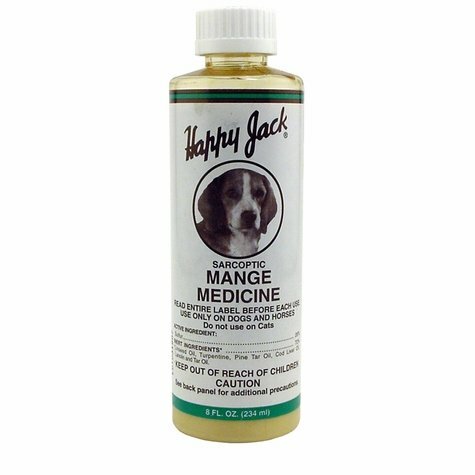 For sarcoptic mange apply once daily for several days. Wear rubber gloves and work well into the skin with a slow, firm massage. On areas that respond slowly use twice daily until healed. IMPORTANT -- For best results, disinfect your animal's environment. Accompany treatment with periodic checks of infection and a sound nutritional program. If dermatitis persists, consult a veterinarian.